ronan ducluzeau (zeauro) added a comment to rBd2979279582e: Keymap: add 'Adjust Last Operation' as F9. This uses the popup so it opens under the cursor. So, it requires to move cursor to be sure to not overlap something interesting in 3D View and pressing an hotkey is an action that have to be repeated to see values that you may hesitate to change. Please make it possible to move it to opposite corner of editor. We can flip regions but not this panel. ronan ducluzeau (zeauro) added a comment to D4680: Move topbar to 3D viewport editor. You are right but currently there is no separator. +1 for tabs in sidebar. It solves problem of modal options and view options and adjust last operation. It should free enough space in order to keep orientation and pivot into row of menus and let space for active tool. ronan ducluzeau (zeauro) added a comment to rB93e876c4f899: UI: don't expand selection tool option enum. It is not the line of active that should suffer of scrolling ; it is the line of overlays and shading options that are changed less often. ronan ducluzeau (zeauro) added a comment to T57727: Make the “redo” panel also appear in the tool settings tab. UI flickering (for users performing actions via shortcuts, each button press may show a different panel - causing much more flickering compared with changing active mode or tool, 2.7x avoided this by having a region for this panel - where what is proposed is to make this the top-most panel, so all panels below it will move). 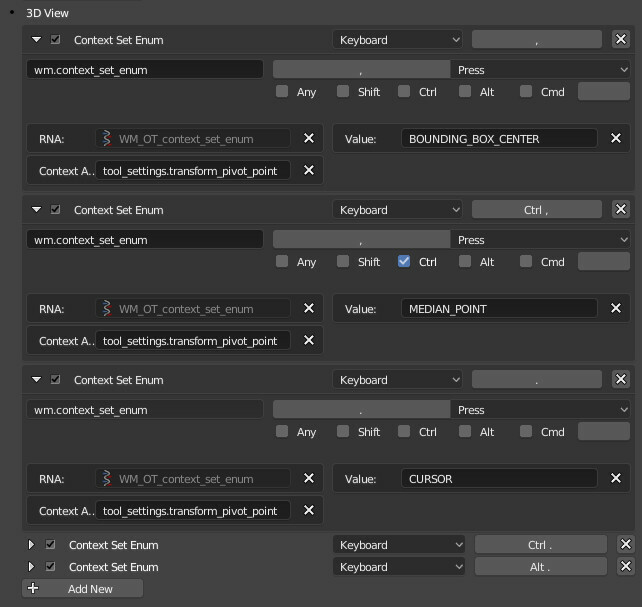 Confusion from having active-tool/scene-toolsettings/active-brush/operator-redo - all mixed in one space. If it is the only thing that annoys you, adding another Tab just for that panel would be sufficient to solve these issue. ronan ducluzeau (zeauro) added a comment to T62995: Design: Closable Redo/Repeat panel (WIP). Move Redo panel to a global Topbar. It will no more overlap anything. IMO, you should renounce to expose mode options as popovers. Very dense popovers with lots of settings could be panels in sidebar. If Collections popover is moved to sidebar, why Texture Slots or Grease Pencil Layers will not be moved there, too. And for toggles which are common to almost all modes like (X-mirror, Symmetry,) they could be buttons in toolbar (maybe with a different color theme and in an area clearly distinguished from active tool one). IMO, Object mode switch should not be moved into that line. I think that is better to try to keep a distinction between what is more global and what is more specific. It is also fundamental because orientation of gizmo of active tool can be different from orientation of tools called by shortcuts. I would only move snapping and Proportional edit tool to top line for object and edit mode. For narrow editors, users still have ability to collapse menus. ronan ducluzeau (zeauro) added a comment to rB2120c5af0328: Gizmo: individual toggles for 3D view gizmos. changing from one to another now uses 3x clicks instead of a single click-drag action. we might need a faster way to switch between transform types. ronan ducluzeau (zeauro) added a comment to T62692: Cycles transparency shader. If Roughness of Refraction shader is ignored, set to zero or use a Sharp Distribution, problem does not exist. ronan ducluzeau (zeauro) added a comment to T62849: Crash on particle edit. Crash does not happen if Disk Cache option is enabled. ronan ducluzeau (zeauro) added a comment to T56463: UV Image Editor. About gizmos to manipulate view, one to flip horizontally or vertically displayed image and one to rotate the display of image would be appreciated by painters. ronan ducluzeau (zeauro) added a comment to T62459: Grease pencil layer gets corrupted (then it cleans) when toggling freehand session, then box selection. ronan ducluzeau (zeauro) added a comment to T62630: Crash on Material Linking in Grease Pencil Objects. ronan ducluzeau (zeauro) added a comment to T62903: uv select edge black bug. ronan ducluzeau (zeauro) added a comment to T63206: Entering edit mode on a mesh after initiating shrink wrap modifier +mirror crashes program. ronan ducluzeau (zeauro) added a comment to T63011: Expanding Weight Paint Panel on Editing Tab crashes Blender User Preferences. Do you encounter same problem with other tabs of User Preferences ? For example, trying to open Text Rendering panel under Interface Tab, Topbar Panel under Theme Tab, Walk sub-panel under Navigaion tab. Does it happen when header of User Preferences is displayed ? ronan ducluzeau (zeauro) added a comment to rBdec9c7d87e5b: Eevee: Implement Texture coordinate from object. I confirm a crash, here, too. ronan ducluzeau (zeauro) awarded rBec0eeb918bac: DRW/Eevee: Add correct support for Orco a Party Time token. ronan ducluzeau (zeauro) added a comment to T50536: Particle system based on "face count emitting" produces error. Yes. It was fixed in 2.8.
ronan ducluzeau (zeauro) added a comment to T62945: Shortcuts don't appear on tooltips for tool icons.. Display of the name + the shortcut was too distracting. When mouse was quickly passed over all brushes of toolbar, there was too much information to be able to focus on their name. So, a delay was introduced for display of shortcut. ronan ducluzeau (zeauro) added a comment to D4529: Brush Tool Properties re-org. One of the locks was an option to compensate for spacing. I think we should move this into the Stroke panel under the spacing control, because really it is related to that. No. You named it correctly according to tooltip : Adjust Strength for Spacing. It has an impact on Strength in order to smooth, to minimize artefacts at spacing transitions. That is a space attenuation in space dimension of the relief. Spacing of stroke is not altered. When this option is turned OFF, transitions between dots are a little bit more visible. But created stroke has a relief a lot more important. Seriously, that are awful changes. ronan ducluzeau (zeauro) added a comment to T62693: Blender 2.80 ~ Subdivision Surface modifier is borked. To use subdivision modifier in 2.8, you have to enable cmake target WITH_OPENSUBDIV. It implies that you have a correct installation of Opensubdiv library. By using install_deps.sh script from build_files/build_environment of downloaded sources , you should easily obtain one. ronan ducluzeau (zeauro) added a comment to T62196: Blender 2.8 Beta: Freestyle Lineset drawing order breaks when using textures. I confirm the issue on linux. ronan ducluzeau (zeauro) awarded rBfd3ef61bc136: Tools: Rename Curve Shrink/Fatten to Radius a Love token. ronan ducluzeau (zeauro) added a comment to rB65a3fe46b50e: Tools: Add Shrink/Fatten to Curve Edit Toolbar. There is a confusion, here. ronan ducluzeau (zeauro) added a comment to T62137: Grease Pencil InFront display not working . Grease Pencil objects have more advanced display modes. You have to go to Object Data tab (Pencil icon) ,not Object tab (Square icon) showed in the video. This tab contains Strokes panel. 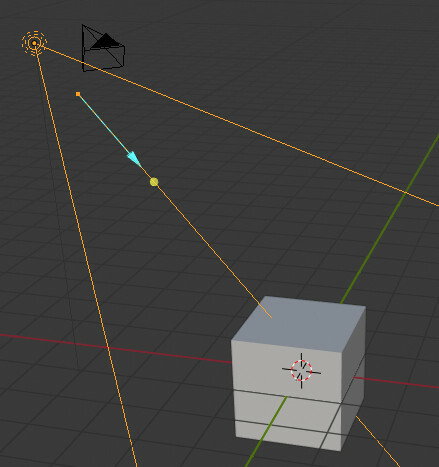 In this panel, change Object Depth Order setting from 3D Space to Front. ronan ducluzeau (zeauro) added a comment to T61864: Problem with Orientation. Topbar is by design : area where to set gizmo properties. A gizmo can be used for common transformations (move, rotate, scale) but also for operators in edit mode (extrude, spin, shear). Actual design allows to set an orientation specific to gizmo and another global one for any other operator called by pressing a shortcut Key G,R,S. ronan ducluzeau (zeauro) awarded rBd00f54e574cc: Transform: redo resize now constrains axis values a Like token. ronan ducluzeau (zeauro) added a comment to rB1bfbfa281046: Transform: remove constraints from the redo panel. Redo panel is still confusing, now. It is more problematic. When a scaling is constrained, redo panel indicates same values for all axis. When a rotation is done, there is no more ability to distinguish a rotation relative to view or relative to a transform axis. ronan ducluzeau (zeauro) added a comment to T61327: Per-Viewport Collection Visibility. I would prefer a viewlayer selector per 3D Viewport and overrides for visibility as other overrides. I think that old demo from dalai about matcap overrides per objects was working well. ronan ducluzeau (zeauro) added a comment to D4235: Trim brush . It does not seem to be a good idea to replace a brush that has no limitation by that new brush that has 2 big ones. ronan ducluzeau (zeauro) added a comment to D4274: Depsgraph: remove features incompatible with new system..
ronan ducluzeau (zeauro) added a comment to D3594: New sculpting brush cursor. I did not test the patch. But cursor should be consistent with sculpt plane. A cursor following normals does not make sense if sculpt plane of brush is View Plane or X, Y, Z plane. 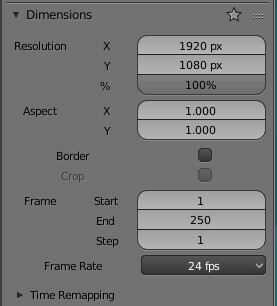 You probably don't expect a cursor following normals when 2D Falloff option is ON. Texture overlays have to stay consistent, too. ronan ducluzeau (zeauro) added a comment to T60824: List of Properties that should use the Units system. ronan ducluzeau (zeauro) added a comment to D3869: Fix T57852: Mesh X Mirror option not working. But I agree with unifying the the edit mesh settings with sculpt settings (Making sculpt settings per-object). ronan ducluzeau (zeauro) added a comment to rBa77b63c56943: UI: Preferences Redesign Part 2. I agree with @Rombout Versluijs (rombout) . Although things are obviously more well organized and consistent, this UI adaptation makes access to a user preferences slower. ronan ducluzeau (zeauro) added a comment to T59286: Cycles GPU Compute baking often fails. No error. Correct baking, here. It reminds to me problems at first attempts of hybrid rendering. The scene is using sun lamps and a Volume shader into world background nodes. It works in EEVEE. The blend file was made as an EEVEE demo. I can't reproduce with 21523b5 under ubuntu 16.04 with a titan black. Can you upload a .blend file with the issue ? ronan ducluzeau (zeauro) triaged T59275: Eevee - Generated coordinates don't follow mesh deformation as Confirmed, Medium priority. ronan ducluzeau (zeauro) triaged T59273: Text object disappears when Fill Mode set to None as Confirmed, Medium priority. ronan ducluzeau (zeauro) triaged T59266: Hard to select a single face when set to display as wireframe as Confirmed, Medium priority. ronan ducluzeau (zeauro) added a comment to rBb14ec1860127: Cycles: add initial CUDA 10.0 support, but only recommend use for Turing cards.. Same problem, here. I can't build a sm_35 kernel with cuda 9.1.
ronan ducluzeau (zeauro) added a comment to T57857: Collections, objects visibility and local view. + 1 to keep Object Type Selectability in popover. 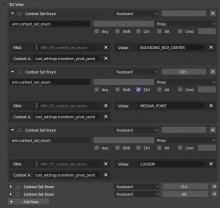 ronan ducluzeau (zeauro) added a comment to T56744: Proposal: Improving Brush Workflow in Blender. When more settings are available to each Tool it becomes more effective and easy to customise and experiment with creating new brushes. As long as the brush settings are not exploding with a vast amount of new options this should be no issue. Difference between Clay and Clay strips is not a setting exposed to user. OK draw brushes have a plane offset. But it is presented differently than height of Layer brush. Thumb and Rotate may have few settings. It does not change the fact that they are not producing same result at all. Grab will not stop to move vertices like Snake brush does. In 2.79, F6 panel could be called without problem of context of any area. F6 panel does not work in a different window in 2.79.
ronan ducluzeau (zeauro) added a comment to T56906: Mesh from Curve not working on curves beveled by curves. ronan ducluzeau (zeauro) added a comment to T54943: Blender 2.8 Defaults. ronan ducluzeau (zeauro) created T57097: Adding a Texture Slot in Texture Paint mode produces a crash. ronan ducluzeau (zeauro) added a comment to rBac0dfcced30a: UI: start maximized on X11 if possible, like other platforms.. I am using 2 screens. Now, blender window is taking same width as my dekstop and is stretched through both screens instead of being restricted to 1. I have to save a startup file to avoid that. Is it possible to detect use of 2 screens ? ronan ducluzeau (zeauro) added a comment to T56649: Proposal: Blender 2.8: Wireframe, Select Through & X-Ray. IMO, most practical and relevant placement. So, no more toggle next to slider in shading popover ? ronan ducluzeau (zeauro) awarded rB1d76fbf3df69: GP: Add thickness and stregth factor to UI a Like token. ronan ducluzeau (zeauro) added a comment to rB84e9dbe38bc8: GP: Improve SOFT eraser to affect strength and less to thickness. I want to be able to disable opacity decreasing produced by soft eraser. I said Strength like Strength brush in Sculpt mode. Is it possible to expose these settings in tool settings in order to let user decides how he wants soft eraser to affect thickness and strength ? I think that was not necessary to class brushes according to their tool use. ronan ducluzeau (zeauro) added a comment to T56756: Pivot Point update issue(minor issue). He is talking about keyboard shortcuts. ronan ducluzeau (zeauro) added a comment to rBe1178266e713: Workspace: support reordering of workspaces from RMB menu..
Good to know that is a temporary solution. But, now, with re-ordered workspaces, Ctrl Page Up/Crl Page Down are no more working as expected. They still switch following alphabetical order. ronan ducluzeau (zeauro) added a comment to T56571: Tools: Per-tool Todo List . Exactly, it is adequate. It should remove confusion. Rip Edge and Rip Region are inappropriate names and use inappropriate icons for operators called Rip Vertices in Vertices menu. ronan ducluzeau (zeauro) added a comment to T56648: Blender 2.8: Naming Conventions. I don't think that the fact that would break tutorial should be a winning point to keep G to move. But it is important when you are modifying lots of things to avoid to change everything at same moment and keep some marks that will not lost old users that have knowledge about abilities of software, making them best people to create new tutorials. Workspaces, 3D View, BI removal, Layers removal, etc ... If shortcuts had been the first change, nobody would have been able to follow these changes. ronan ducluzeau (zeauro) added a comment to T56542: freestyle stroke material test fails.. I confirm that, under linux, render is compliant to reference with 2.79b or master. So, it is a bug relative to OS. ronan ducluzeau (zeauro) added a comment to T56499: Incremental snapping is constant (not adapting to orthographic viewport scale). Absence of subdivisions is a problem. A user losts a useful info about proportions. This is my unit. And this is one half, one third or one tenth of my unit. I want my object 3 units large. So, that detail of this object should be large of 2 tenth of unit. It is how user is thinking during the modeling process. It helps a lot to make a decision to see subdivisions of grid. ronan ducluzeau (zeauro) added a comment to T56360: metaball viewport checkbox crash. We have a Viewport Display panel under Object tab of properties editor. ronan ducluzeau (zeauro) added a comment to T56423: [2.8] broken drag'n'drop parenting in outliner. I can reproduce the problem with armature or a curve. ronan ducluzeau (zeauro) added a comment to T56455: [2.8] Crash when projecting skinwrap curve/path. 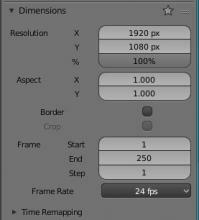 In attached.blend file, just change modifier mode to Project to obtain crash. 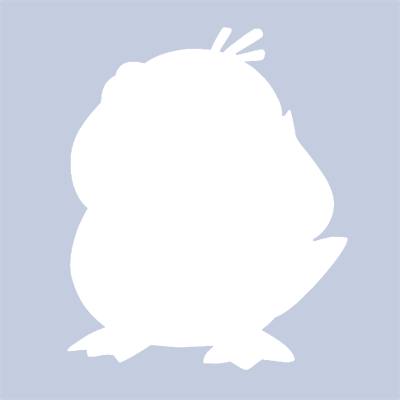 ronan ducluzeau (zeauro) added a comment to T56507: Crash. I succeeded to reproduce the crash. Steps 3 and 4 are relative to workspaces tabs. Shading workspace and Texture Paint workspace. Not the popover or the mode. ronan ducluzeau (zeauro) added a comment to T56491: Crash due to (preview) jobs running during undo step.. I succeeded to obtain a crash on linux. ronan ducluzeau (zeauro) raised a concern with rB5203ebbaad48: Tool System: remove cursor tool from paint modes. Clone brush was using the 3D cursor. Now, user have no visual feedback of what will be cloned. ronan ducluzeau (zeauro) added a comment to T56475: Proposal: Workspaces & Modes. 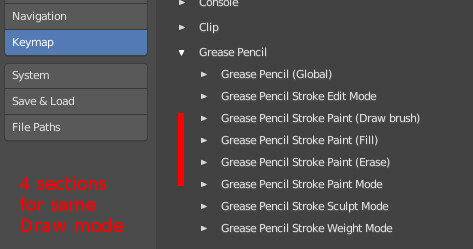 He is just saying that purpose of properties editors in this 2D workspace is lost without a Grease Pencil object as active object. ronan ducluzeau (zeauro) added a comment to D3616: Cycles: Support using CPU, CUDA and OpenCL devices at the same time. At least, is it possible to have a CPU+GPU solution ? When scene requirements exceeds GPU abilities, it is a common attempt done to try hybrid solution. Problem is that you have to change User Preferences, not because of your preferences but because of a peculiar scene. ronan ducluzeau (zeauro) added a comment to D3612: Physics Soft Body: Use Grid Flow and Single Column. This is physics and modifiers stuff. You will not receive a lot of feedback or complaints about that. And when "everything nodes" will be ready : this UI will be obsolete. Seriously, this one is abusive, with too much subpanels. ronan ducluzeau (zeauro) created T56294: Collection Instance with Grease Pencil Object Crash. ronan ducluzeau (zeauro) added a comment to T54896: GP Branch: UI design for topbar/tools integration. ronan ducluzeau (zeauro) added a comment to T54951: Properties Editor Design. Is there a reason for why the numbers have to take half of the space? In two columns layout, number fields can contain labels. Only con is the ragged-left negative space like William mentioned. But definitely not a deal breaker and I feel it also actually helps to visually break it up a bit, without seeming like a big-wall-o-text when all text is left-aligned and cut off prematurely depending on width of panel. Another point in favor of centered labels. The shape defined by negative space is quickly changed if editor width is resized. With centered labels, a mirrored pattern would be kept until you reach the limit of smaller label that would be a more obvious reference. Left aligned text has advantages in that it’s easy to scan the list, but the label gets disconnected from the value, which is a problem, esp with multiple columns. But you are doing a single column layout with subpanels. Subpanels headers are ruining a grid column layout. With a layout made of columns of panels, there is no problem. Result is still one column of settings inside one panel. If it is acceptable to have Values left aligned, why labels have to be right aligned ? It is less pratical to scan than a left aligned text. Would it be possible to give a try to centered aligned text, too ? IMO, it is better compromise for columns. a mock-up with Labels space centered. When there is a main label and a sub-label, an alignement corresponding of each level. ronan ducluzeau (zeauro) added a comment to T55595: Mesh is not rendered when enable hair particles. Option is under Object tab. In 2.79, there is a Render Emitter option under Render panel of particles to allow user to choose between rendering mesh emitter of particles or not. ronan ducluzeau (zeauro) added a comment to T55386: 2.8 UI Tools: Top Bar, Tool Properties & Toolbar Update. In 2.79, most of addons are using toolbar. They are adding a panel or a tab to toolbar. Current minimized toolbar does not handle that well.